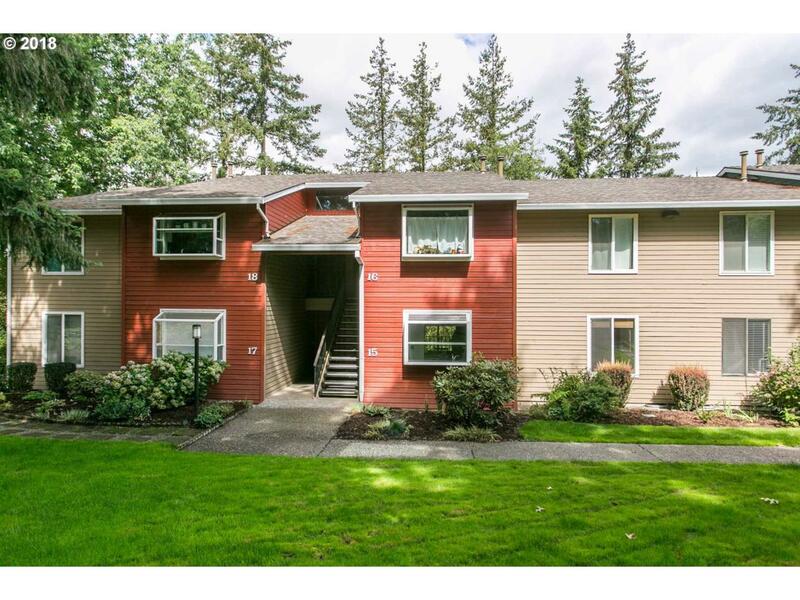 Beautifully upgraded move-in ready ground level condo.Cedar lined covered balcony w/tile floor looks out over protected green space. Tile bathrooms,remod bath,Central Air, custom stove, Newer laminate flooring and carpet. Small community garden and yard area.Sep Garage w/additional parking. Secluded park like setting, close to Nike,Intel,Hospital,New Seasons..This is an incredible location,home and complex at this price ! !